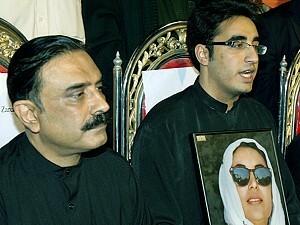 The command of Pakistan People’s Party(PPP) has been given to Bilabal Bhutto Jardari, a 19 year old teenage youth. Following his mother’s say “Democracy is the best revenge”, he took this command with promise to obey his responsibility. This move of PPP has given a fire in the revolution of election. A 19 year old university student has been crowned by chairman post, this definately encourage other youth to step toward youthness, move forward heading the future.